Worried about how to pay for a baby on the way? Thinking about everything that you are going to need to raise a child can be overwhelming- but there are ways to cut costs. Some things can’t be avoided, like car seats, but you can definitely stick to a reasonable budget overall. Here are five simple simple tips to make having a baby more affordable. I had my first baby when I was 22 and single. Let me tell you, money was tight. I had to find ways to cut out unnecessary expenses just to make it work. Now twelve years, a husband and two more kids later, I am here to share my tips with you to help you maximize your baby-rearing funds and save some money! Because I was completely broke, formula was a terrifying cost potential for me. Those free samples only go so far. I was determined to make breastfeeding work purely to relieve my financial burden. 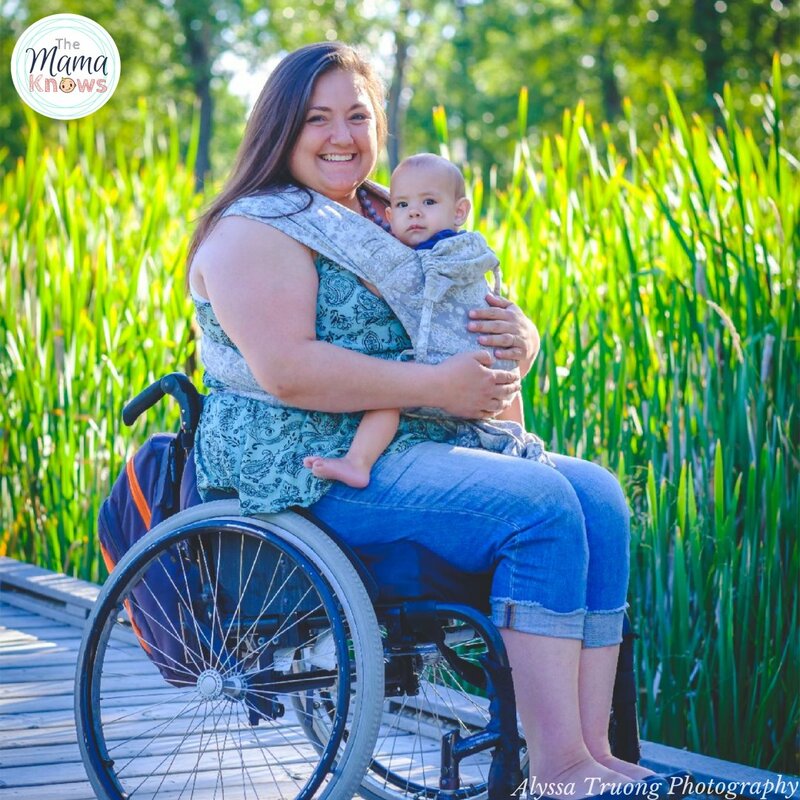 It was later that I found the added benefits of nursing: it was convenient and it turned out that I enjoyed feeding my baby with my body, and all the health benefits that came with it. Please note: This article has no opinions of breastfeeding versus formula feeding, as that’s not the point here. I assume those reading want to save money, and so for the purpose of this article, I will be focusing on breastmilk. As for diapering, it’s an absolute no-brainer that Cloth Diapers save money. With the estimated cost diapering a baby in a disposables being $2500 for only 2 years, spending a few hundred dollars on a Cloth Diaper stash will unequivocally cost you less. Plus, it costs the environment less too. It seems like an easy solution to save money is to just pickup everything at your local thrift shop or online buy-and-sell groups, but are there some things you are better off investing in new? The answer is yes. Here’s a handy (and short) list of what you can buy new, what you can get away with buying second hand (spoiler: nearly everything), and what you can resell later to recoup funds (unless you are planning on using these for another baby). Keep in mind whenever you purchase a used item for your baby, you should check for recalls. This Health Canada website makes this easy. Cloth Diapers – Find these in your local buy and sell groups! All you need is to Strip & Bleach used diapers. – Tip: if you plan to have more babies sooner than later, buying new could be worth the investment. 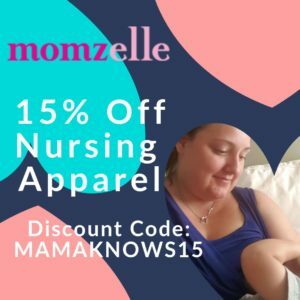 Bottles and bottle accessories – Tip: exclusive breastfeeding with no bottles for your first 6 postpartum weeks will help establish your latch and milk supply, making your breastfeeding and pumping journey easier. All of the above! When you are done, you can easily sell these things on local buy and sell groups on Facebook . Baby bath tub – Tip: lay a towel for cushioning in your tub and fill with just enough water. 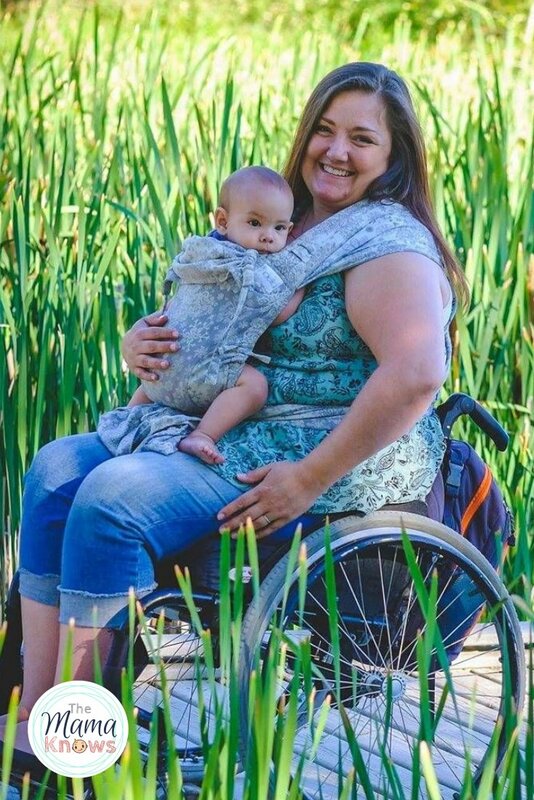 Swings and Bouncers – you can use your nursing pillow to prop baby when you need to put them down. 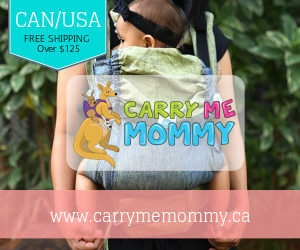 or use your carrier and babywear! Carseat liners, pillows and covers. unless they came with your carseat, they can void your warranty and compromise safety. With Little I was lucky enough to find out I was pregnant in November. That meabt some massive Black Friday savings! 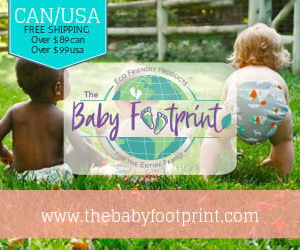 The Cloth Diaper and Babywearing world is primarily Online and the retailers almost all take advantage of Black Friday oppertunities. Blogs like this one also help you find out about sales and giveaways throughout the year. Be sure to follow lots of natural parenting blogs on Facebook, Twitter or Instagram to hear about these sales and contests! Speaking of Contests, have you entered all our current giveaways? Another potential to save money is by not buying jarred baby food or boxed cereal. Did you know it’s recommended to exclusively breastfeed for the first 6 months? This is great for their developing gut and by that time your baby can actually go straight to table food! 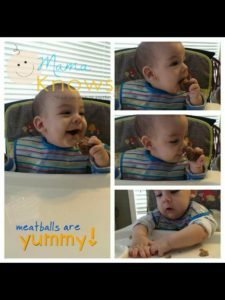 Little EJ absolutely loved these easy oatmeal meatballs! Baby led weaning is typically started at 6 months, when baby can sit on their own and reach and grab food into their own mouth. Read our article about whether your baby is ready for solids! We skipped jarred food and cereal entirely with our kids. EJ’s first food was a piece of avocado. He loved holding it himself and gumming it into oblivion. He ate soft, easy to grab pieces of food from our own plates. This method even helps with teething and with fine motor skills! Babyled weaning is a hot trend right now which is great because there are tons of recipes and tips available online. In Canada, there are many programs for new parents to look into regarding a family addition. Did you know that we have tax credits and benefits related to your new bundle of joy? The Canada Child Benefit is a tax free, monthly benefit given to new parents to help with the associated costs of having a baby. You definitely want to look into this, and enrolment is very easy! Just apply for a Social Insurance Nuyfor your baby at the time of birth registration: right at the hospital. Enrolment is automatic, as long as your tax information is up to date with the Canada Revenue Agency. Here’s more information on all the benefits and credits available to Canadians. American friends, perhaps you could share some information in the comments to help US readers with any tax and benefits available south of the border. That’s it for now! 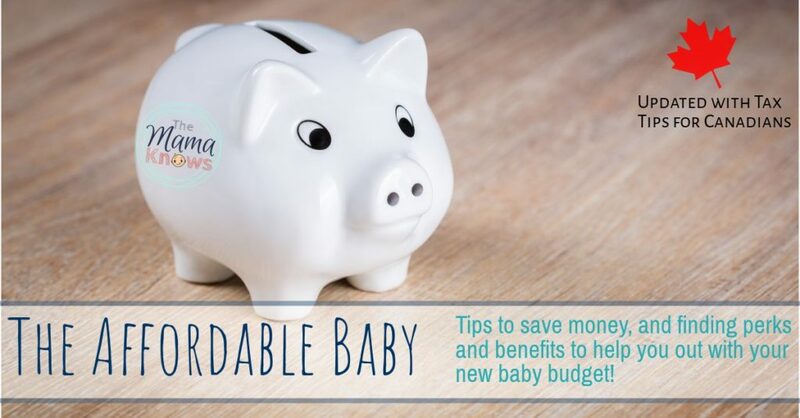 I will update this post as I find more cost saving tips for affordable baby raising. That’s a really great sum up about saving money while taking care of a baby. I also breastfeed and Cloth Diaper. I just buy all new cloth diapers as my hubby is not very comfortable with the idea of used but it’s a great option for somebody on a tight budget. Buying used Toys, Clothes, Bedding and every little baby stuff is really a great thing as these things are very gently used. Baby led weaning is awesome, indeed it’s very normal and have been practised since ages.. Great Article !! great info on saving money. some of it you’d think i would have thought up thru the experience of 9 kiddos, but theres a few i learned. thank you for sharing. Because we’ve bought almost everything second hand and skipped lots of the unnecessary things, we’ve only spent a couple hundred dollars on all our baby stuff. Lots of our baby shower gifts were cash so we really haven’t spent anything. I don’t know how we would have managed if I hadn’t been able to breastfeed! I shudder every time I see the cost of formula. This is a great list of money saving tips! My daughter and I used all of them to save a ton on money preparing for my grandson’s arrival. I also sew, so I made a ton of receiving blankets, bibs, cloth wipes, wash cloths, etc. She was lucky to get a lot of hand me downs & used equipment free or cheap from friends and family ready to unload their baby gear too. Most of the people we know think we’re insane for using cloth diapers, but they don’t understand how easy it is these days and how much money it saves! What a great post!! I have had so many people tell me how expensive babies are with the diapers and formula & all their gear. I thought I needed a good amount of stuff with my oldest, but I quickly learned how little she needed. Cloth diaper and breastfeeding has saved us a lot of money! I super coupon and shop resale for clothes. Shopping on the off season helps a lot too!! We have bought most of our clothes, cloth, equipment, toys, etc. from our local bi-annual consignment sale. Market Place on FB & garage sales are a great way to buy used stuff! Plus we’ve been lucky enough to have some friends & family just give away hand-me-downs!